A tired dog is a happy dog. Exercise always helps your dog behave better by tiring him out. Do extra walks and runs during stressful times to help relax your dog and make him less likely to react to loud noises or anything he is fearful of. Lead by example. Make sure you are calm during the loud and sudden sounds! Sometimes, we project fear by expecting it to be there. It’s like when a child falls down and their parent reacts by saying, “oh my gosh, Johnny! Are you okay? I bet you’re hurt badly!” The kid sees their parent’s reaction and starts crying. Instead, if you simply say, “you’re fine, Johnny. Let’s get you up and take a look. Yep, you’re fine. Let’s go get some ice cream.” Don’t feed into your dog’s reaction. Show him it’s silly to be scared. Redirect. Play and/or run through commands with your dog when the sounds go off. You could even put on some loud music, if needed, to help drown out the noise. Just make sure you keep him occupied rather than allowing him to run and hide or shake. Desensitize. You can download firework noises (or sirens or any other sound your dog is afraid of) and play them for your dog on low volume, building his tolerance slowly. All the steps above are still important to keep in mind while doing these practice runs. First-timers. If you have a puppy that hasn’t heard fireworks yet, make sure and teach him they are FUN! Celebrate with him instead of looking for any scared reaction. I’ve trained my dogs to run outside with me when we hear fireworks – because they know it’s exciting and fun! If your dog is really nervous and you feel you could use some expert help, The Pooch Coach is just a phone call away. 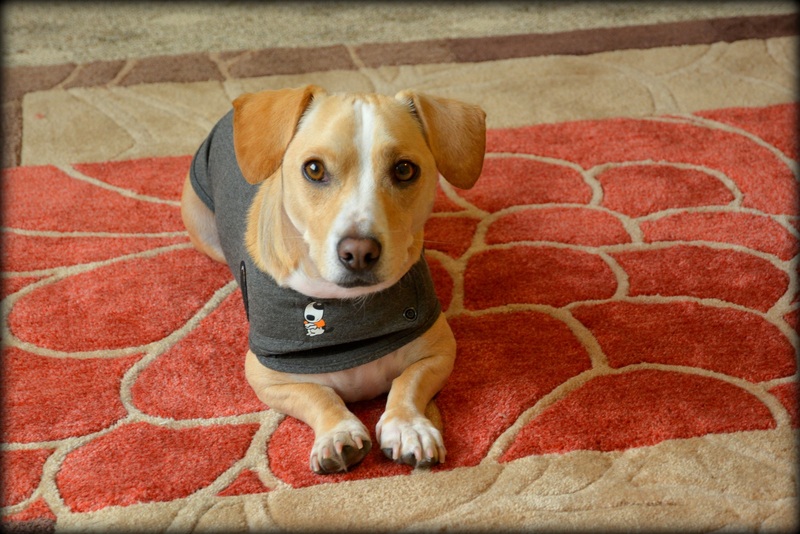 This entry was posted in Health, Training and tagged 4th of July, anxiety, barking, Dog, fear, fireworks, noise, ThunderShirt, training by jaqbennett. Bookmark the permalink.